Daring Deco-styled interior, available all-wheel drive. No 3-Series when it comes to handling, but it's pleasant enough. Six-speed automatic doesn't want to come out to play. Remember Rocky versus Mr. T? Hark back to the 1980s, when in the third Rocky movie, Stallone had to get back in the ring against the scary T) after the humiliating loss of his title and his self-respect. That’s whereLincoln is right now. Having been bounced out of the luxury-car ring like a flabby palooka, Ford’s once-strong luxury division is hoping for a comeback. 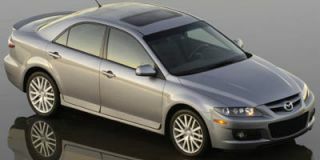 And the three-punch combo it hopes to land is new for 2007: MKX, Navigator, and the least new of the trio, the MKZ. Least new doesn’t mean least interesting, in this case. 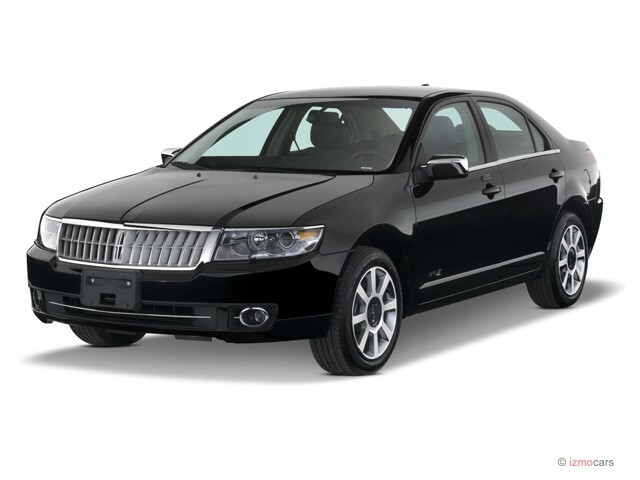 The 2007 Lincoln MKZ sedan is a tweaked, uprated, and renamed version of the Zephyr entry-luxury sedan that bowed last year. It’s a good-looking car, with a modernized, “wide-mouthed” version of the trademark Lincoln waterfall grille up front, crisp styling pleats pressed into the hood and trunk, and chrome accents finishing it all off. The effect is neither garish nor old-school — but very much in keeping with the Lincoln history of subtle elegance and good taste. The MKZ’s signature functional features are a new 3.5 liter V-6 good for 265 horsepower, tied to a new six-speed automatic transmission and available all-wheel drive. The new engine runs on regular 87 octane unleaded, in addition to being one of the most powerful standard engines in this class. The updated ’07 model also gets a re-themed interior with retro-Lincoln styling cues centered on a “twin breadbox” dash layout that will be familiar to those who can remember the Hawaii Five-O-era Lincolns of the late ’60s and early ’70s. Light colors (creamy tans and off-whites) for the dashpad and door panels and “satin nickel” accents — and indirect puddle lighting — give the car a soft and welcoming vibe. It’s distinctive, and it’s different — and whether it’s a good or bad move, only time and market reaction will tell. It’s definitely a departure from the rounded/elliptical, hyper-aggressive sport-bike-like shapes that seem to be everywhere these days. Other retro touches include an analog clock in the center stack and high-visibility numerical gauge facings (with LED backlighting) instead of digital stuff, which is also different — and nice because it’s so immediately self-explanatory. There are no mice, no inscrutable icons to decipher. You won’t need a 200-page manual or a degree in systems engineering to figure out the MKZ’s controls. The MKZ can be fitted with heated and cooled seats, a kicking THX premium audio system, GPS navigation, Sirius satellite radio, and a best-in-class 15.8-cubic-foot trunk (as well as nearly three feet of rear-seat legroom). All MKZs come standard with Ford’s Personal Safety System — which means side-impact airbags for the front seat occupants, full-length curtain airbags with “roll fold” technology designed to make sure the bags deploy between the occupant and the side glass, even if the occupant is not in the ideal position, and anti-lock brakes with Electronic Brakeforce Distribution and traction control. The sole letdown, if you’re looking for sharp reflexes, is that the MKZ is not as sporty as some might like, despite its strong on-paper credentials. 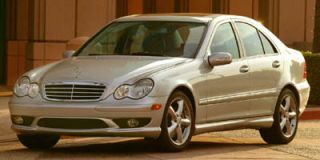 Relative to something like a BMW 3-Series or Acura TL, it’s a plusher cruiser. The MKZ has good power, but isn’t really happy when pushed hard. 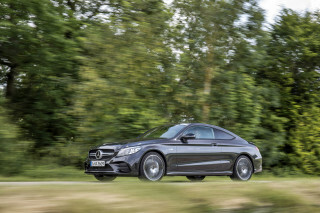 The all-wheel-drive model has a firm grip on the pavement but the steering is pretty doughy and the suspension seems to react just slightly after you make an input, instead of delivering that immediate connectivity you find in a BMW or even a Cadillac, these days. The six-speed automatic doesn’t seem very eager to play. 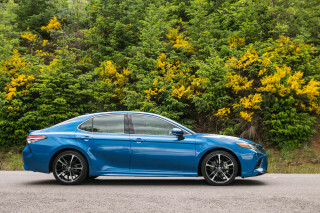 It has fairly languid upshifts designed for softness rather than sport feel, and won’t hold lower gears when powering through turns. The suspension tuning isn’t set up for enthusiast driving in the way a BMW 3-Series is. This car doesn’t dive eagerly into turns, daring you to push yourself closer to your own limits. On the other hand, for quiet cruising along the freeway at a steady 70-80-something, it works very well. 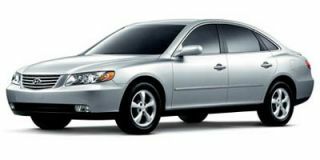 The cabin’s quiet, the ride is soft on your backside (but not so soft the car wallows like an old Buick — or an old Lincoln, for that matter), the optional seat heaters and coolers keep you comfortable no matter the outside temperature and the optional THX stereo’s very good. Everything works well and is easy to operate — and not at all hard on the eyes, either. Lincoln is pricing the base front-drive MKZ at $29,175, with the all-wheel-drive version coming in at $31,050. 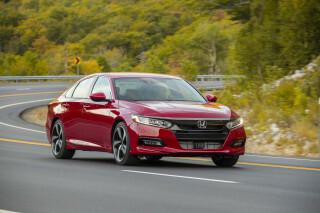 This is substantially less than import competitors like the $33,170 Lexus ES350 and the $32,520 Cadillac CTS, which offers a manual transmission (the MKZ is auto-only) but doesn’t have all-wheel drive and has a 255-hp V-6 ten ponies shy of the MKZ. The MKZ also compares quite favorably with middle-brand, mid-priced V-6 almost-luxury sedans like the Honda Accord and Toyota Camry that don’t have the prestige brand nameplate going for them, or the all-wheel-drive, either. The MKZ’s powerful standard engine and available AWD also put big distance between it and other domestic-brand rivals, like the front-drive-only (and barely 200-hp) Buick LaCrosse. 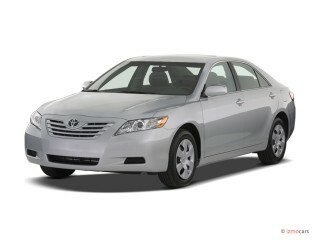 Excellent luxury car from the inside out. The only drawback is the turning radius. It takes 3 lanes to make a U-Turn. Love It! 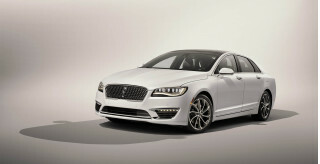 Lincoln MKZ ' s are Great! 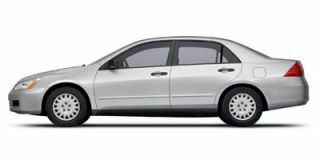 I love my 2007 Lincoln MKZ it's such a great car and Im glad to have purchased this good running used vehicle just like. Ew!